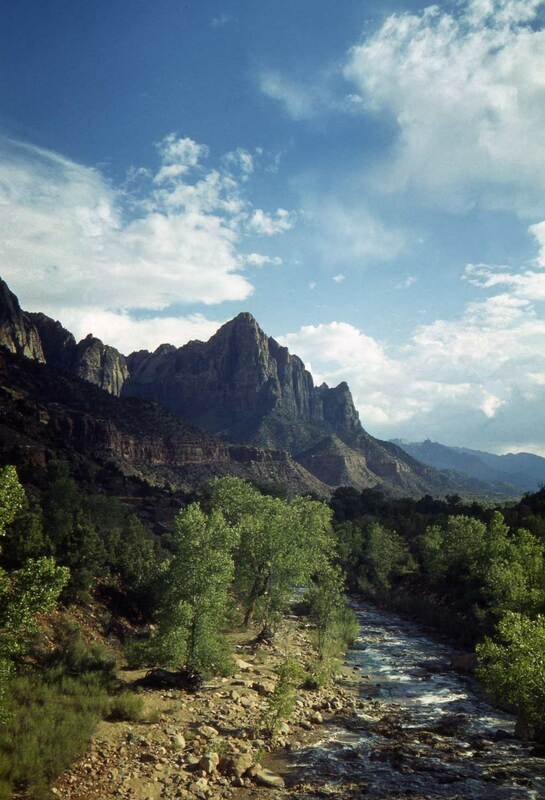 This place and point-of-view can be found with a dedicated search of Utah’s Zion National Park on Google Earth. The clue is that it was photographed from a highway bridge, but a highway that was, no doubt, much less “improved” in the 1940s when Horace Sykes made this recording than now. Zion National Park in my opinion is the most beautiful national park. The sandstone mountains are breathtaking – there is nothing else like it. Thank you for showing this photo.